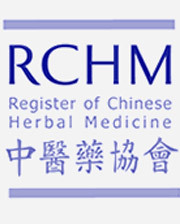 Olivia Shaw is an experienced practitioner of Chinese medicine providing herbal medicine treatment and acupuncture in Surrey. Her clinic is based at the Surbiton Natural Health Centre in the centre of Surbiton which is a very well-established, family run complementary health centre in Surbiton town centre and is conveniently located less than 5 minutes walk from Surbiton rail station, which is in Zone 6 of the Oyster network. The clinic is also within close proximity to Kingston, Wimbledon, Raynes Park, Hersham, Thames Ditton, Claygate, Hampton Court, Esher, Walton on Thames, Weybridge and Guildford.